But many wonder if young people understand the influence these pics have on their fragile self-image. Selfies. Just about everyone has taken one of themselves and then posted it on Instagram (or Twitter or Tumblr or Flickr or… you get the point). Finding a teenager who hasn’t taken a selfie is like finding someone who abstains from sexual activity on an MTV reality show. Good luck. In fact, selfies are so ubiquitous that Oxford Dictionary gave the word “selfie” the distinct honor of being the Word of the Year for 2013. The purpose behind a teenager’s selfie can be as varied as the locations they’re taken (Jonathan cited some studies and speculated as to some of the possible reasons in this recent post.). But most of the pics have one thing in common: they get shared (online or mobile-to-mobile). While every teen girl loves to see the “Likes” and “you’re so pretty” remarks rack up on Facebook or Instagram, that doesn’t always happen. 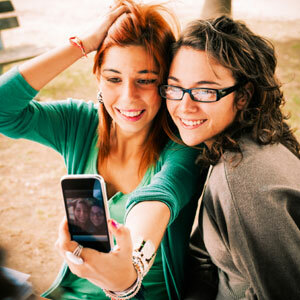 Though selfies (probably) can’t be blamed for an increase in head liceamongst teens, they can be fingered as one of the latest factors in teenagers’ topsy-turvy battle with self-image. 62% of Millennials (age 16-34) worry that others judge them based on appearance. The ongoing survey found that 65% of girls feel that flattering “selfies” increase their self-confidence, but 53% also report that unflattering pics of themselves posted online by others can deflate that confidence. Selfies can be a two-edged sword. Tell me, who’s the fairest on Facebook? Now, teens can be as photo-shopped as the celebrities they admire. Should parents and caring youth workers be alarmed over these technical abilities? Are these apps harmless, or do they produce a conceited and vanity-inducing mindset? We should be fair after all; a lot of adults – especially professionals – pay top dollar for work-related photographs that are often enhanced by filters and blemish removal tools. One thing is for sure: self-image can be a fickle beast. Here are a few ideas for taming it. Set rules on what can be posted and shared. Just because your teenager thinks a selfie is appropriate doesn’t mean you will. Have you had any discussions with your teens about what kinds of photos are permissible for sharing and posting? (For example, are they allowed to text/post a selfie while wearing bathing suits? From their bathroom/bedroom? Or while at a funeral?) 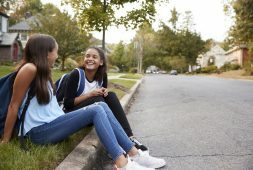 Every family may settle on a different set of standards, but having agreed-upon guidelines could spare your teenager a whole lot of grief in the future. Make sure their self-image is just that, THEIR SELF-image. If we take 17 nanoseconds to reflect on the actual definition of self-image, we’ll see that a teenager’s self-image is based on everything except how they see themselves. For today’s teens, their self-image is prescribed to them by their friends, their family, and even their frenemies. That’s not always a good thing. Take the necessary time to give your teenagers a healthy understanding of self-image. Also, show them the importance of being discerning when it comes to who they listen to on matters of appearance, image, and self-worth. These days, any idiot with a cell phone can weigh in on a person’s self-image, so not every “comment” should be given the same validity. As often as you can, base value on character and conduct instead of pics. Of course we want to instill lasting values into our teens, but that’s often difficult to do in the digitally-enhanced-glossy-magazine-covered-world in which we live. Perfection – er, tweaked perfection– stands on every corner screams for our teens’ attention. Teaching them that what’s inside is what counts will be an ongoing lesson. God’s Word comes in real handy, here. Take your teenagers through Scripture to help them understand the importance of heart over hairstyles. We’ll give you some help in case you’re not a Bible scholar. Here is a totally free YOUTUBE DISCUSSION STARTER that deals with self-image. 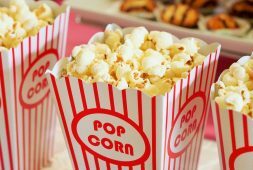 Here is another great resource on the same subject from the hit movie Mean Girls. Here’s a powerful one you can pull off with just a few markers and sheets of paper. However you choose to teach, just be prepared to teach often. The world’s message isn’t going away. And don’t forget to snap a few selfies with your teens. Selfies are hugely important to them. Why not adopt the practice for the sake of connecting with them? You – and your teens – will be glad you did.